Two physical therapy students lead a group of community members through a series of warm up stretches before the run clinic. Photo by Luis Garcia. Melissa Villa, an amputee, is aided by two physical therapy students during the walking portion of the run clinic. Photo by Luis Garcia. 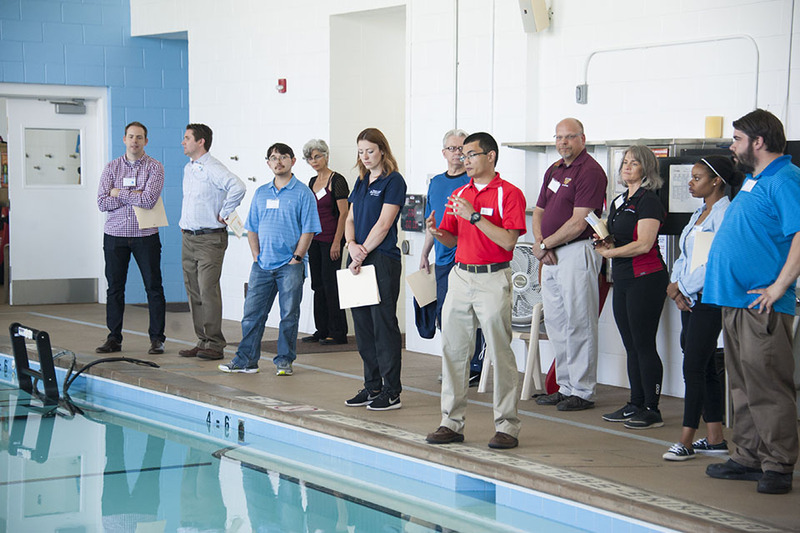 Physical therapy student and tour guide, Michael, explains to a group of amputees and their families the aspects of the movable floor pool, one of four indoor treatment-specific pools located in the Brown Center. Photo by Luis Garcia. Amputees and family members toured the Brown Center gym used for the land program's adapted therapeutic exercise program. Photo by Luis Garcia. Victoria Graham helps Melissa Villa adjust her walking stance as she goes through the inter-personal gait analysis session to evaluate her progress. Photo by Luis Garcia. Physical therapy student, Naeiri Khachkian, assists Andreh Marouti with a hip extension strengthening exercise during one of the sessions at ECLIPSE. Photo by Luis Garcia. 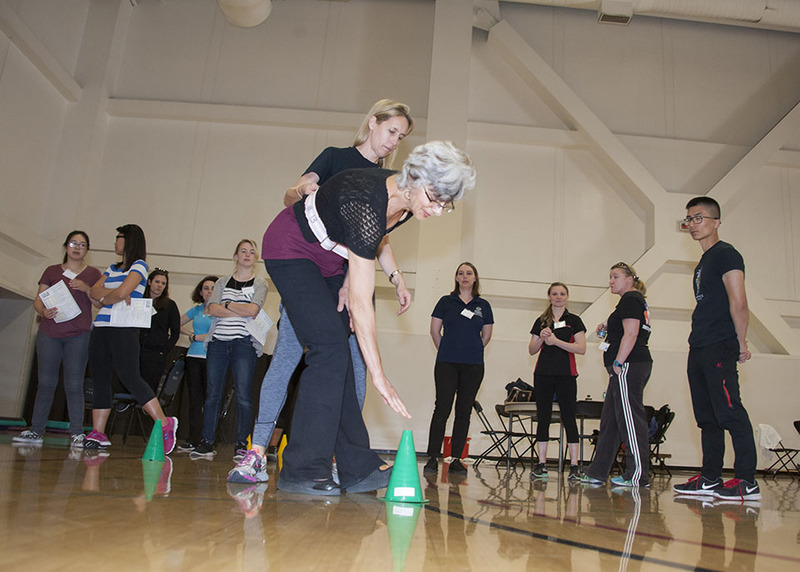 Lauren Palermo makes her way through the agility training course with the help of Anne Ellis, a physical therapist from Evergreen Physical Therapy Specialists. Photo by Luis Garcia. 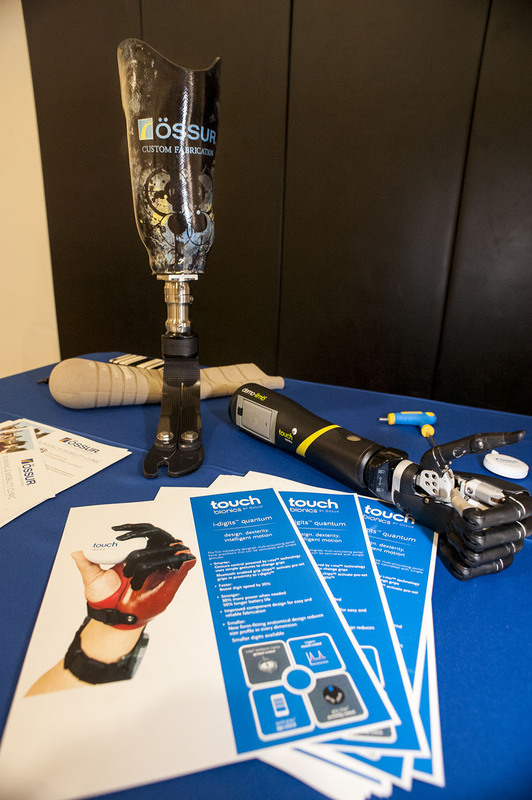 The Ossur Touch Solutions table display allowed prosthetic users to see different types of prostheses available for upper and lower limbs. Photo by Luis Garcia. 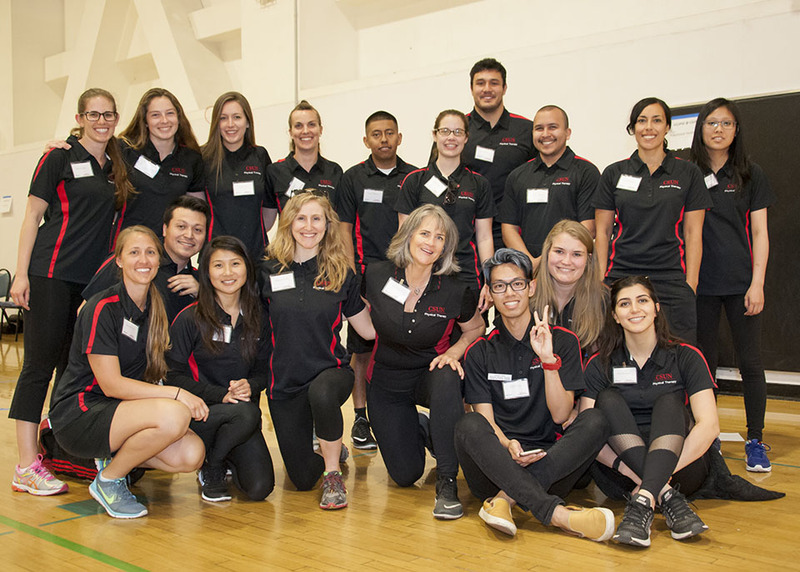 Professor Victoria Graham and the group of third year physical therapy students who volunteered to work the ECLIPSE Symposium on April 1. Photo by Luis Garcia. 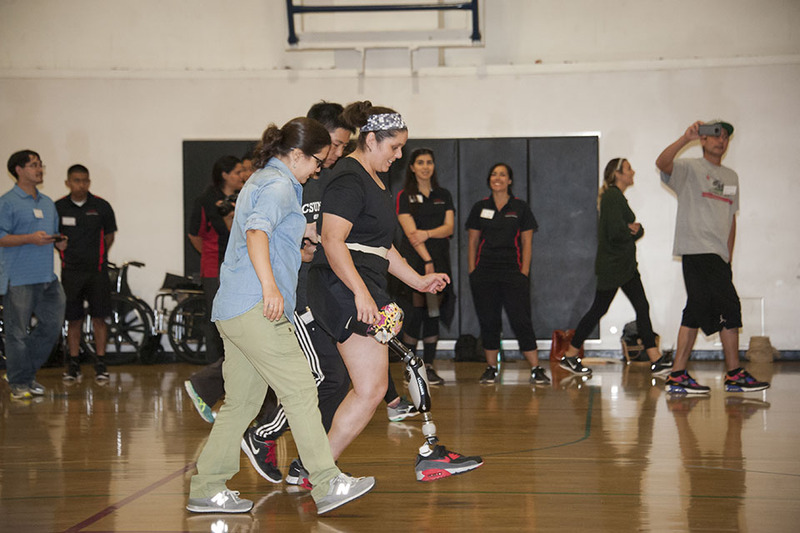 Community members came together with California State University, Northridge students and faculty from the Departments of Physical Therapy, Kinesiology and Family and Consumer Sciences on April 1 for the third annual Exercise Community Living in Prosthetics and Supporting Everyone (ECLIPSE) Symposium. 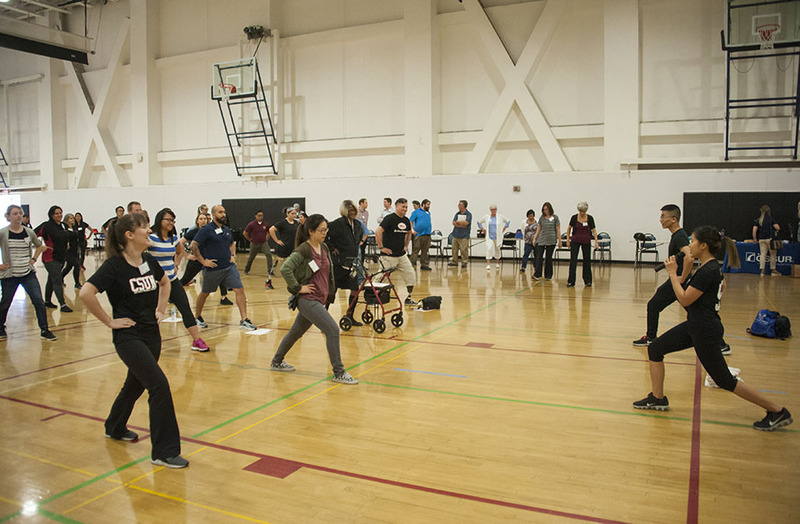 CSUN once again partnered with the Mutual Amputee Aid Foundation (MAAF) to offer a full day of educational sessions, networking and exercise clinics for people associated with the amputee community, in the Activity Center of Redwood Hall. The day began with a talk by guest speaker, Mark Muller, the Chair of the Orthotics and Prosthetics Department at California State University, Dominguez Hills. Muller delivered a speech that touched on the technology used for individuals dealing with limb loss, how people could find information about different outcome measures, the changes in the health care system in regard to benefits for patients and what resources are available to them through their insurance. There was a short break after Muller’s presentation, then patients were given a tour of CSUN and participated in several warm-up exercises followed by an hour-long run clinic. Noel Flannery, 49, who lost his leg following a head-on collision with a distracted driver, participated in the run clinic. 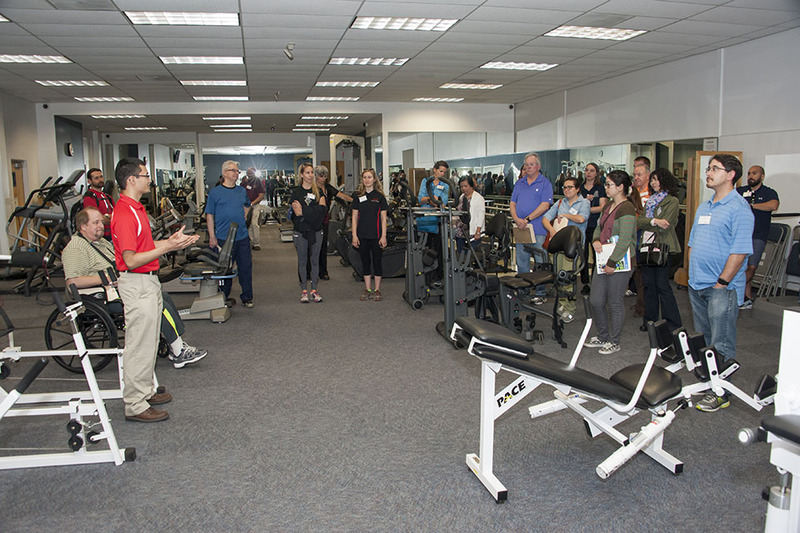 After lunch, patients and family members were given a tour of the CSUN Center of Achievement (Brown Center) through the Adapted Physical Activity facility. In the Center, patients rotated every 30 minutes between exercise training sessions such as inter-professional gait analysis, functional testing lab, agility training or balance and strengthening exercise for prosthetic users. Melissa Villa, 36, decided amputation was the best option when doctors told her she developed osteomyelitis after her hardware became infected with a staph infection after she was discharged from a routine operation. Villa, who attended ECLIPSE for the first time this year, said she appreciated how CSUN students made her feel encouraged and supported throughout the event. “I’ve been to another event and they’re very nice, but it really feels more like a community [here],” said Villa. The day wrapped up with patients having the opportunity to meet with clinicians to go over the course, get feedback and take a post test for their professional Continuing Education (CE) credit. Melissa Flores, a lead third year physical therapy student, helped organize the event sessions and found ECLIPSE to be helpful for both physical therapy students and amputees. For more information, visit the ECLIPSE website.